Happy Friday! 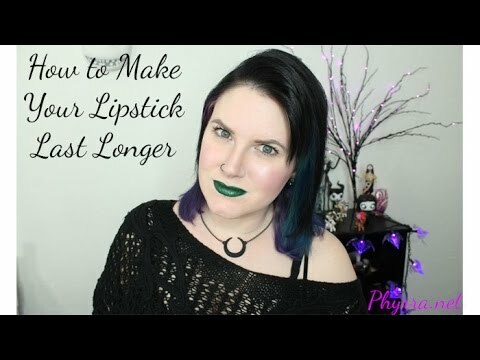 Today I’ve got a tutorial on how to make your lipstick last longer. The only two mandatory products are a lipstick and a setting powder. I’ve got a lot of optional products you can use, which I do if I absolutely positively must last. 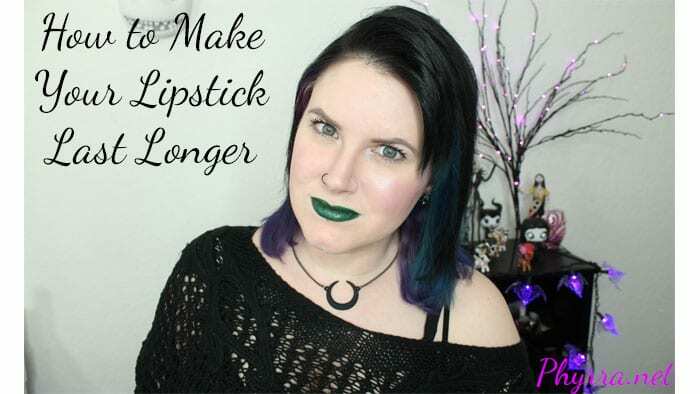 This will help prolong the life of your lipstick without causing your lips to dry out. On a personal note, my grandma is in the hospital again. She’s got issues with her pacemaker, fluid on the lungs, her foot, and a whole other myriad of problems. I fear she’s not long for this world. So if I’m quieter than usual, that’s why. Are there other little tutorials like this that you would find helpful? Let me know below! Great tips girly. I need to use this for real. And so sorry to hear about your grandma. Thanks for the post. I’m so sorry to hear about your grandma, I will definitely be praying for her and for your family. So sorry to hear about your grandma. Hope for the best! *hugs* sending you guys all the love!! I know this is off topic but I was wondering if you could tell me if the IT Cosmetics Illumination Foundation in fair has a yellow or pink undertone? Sorry to hear about your grandmother. Sending out good thoughts. Great tips in this video. You look so amazing in Bunny. It really works with your skin and hair. Sometimes my lipstick needs all the help I can get, so thank you. Hugs to you & your family! I am so sorry to hear about your grandmother. I will keep your family and her in my prayers. Thank you. I’m so sorry for your loss. Excellent tips! I never apply a setting powder to my lips, but will definitely have to try this! I gave it a try after seeing it online and was like, wow it works! Makes sense because setting powder is used to set cream products, like cream foundations, etc.